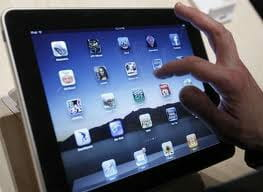 iPad is one of the premier tablets available on the market today. Safari is a web browser that can be used to surf the internet on an iPad. To make their internet experience even faster and more engaging, users have the flexibility to customize their bookmarks in Safari. One can easily view and edit bookmarks in this browser by accessing the application settings. The settings should be chosen in such a way that the bookmarks bar is always visible. This will give quick access to all of the user's favorite websites in one go. Users can also add favorite sites to the Quick Launch bookmarks. When you browse the internet with Safari on your iPad, you sometimes want to add your favorite sites so that you can consult them more quickly and easily. Your site is now accessible from the Bookmarks Bar of your iPad. Published by aakai1056. Latest update on November 8, 2012 at 02:50 PM by Jean-François Pillou. This document, titled "iPad - View and edit the bookmarks bar in Safari," is available under the Creative Commons license. Any copy, reuse, or modification of the content should be sufficiently credited to CCM (https://ccm.net/). How to make a screenshot on the iPad?